Since the 1970s Peter Peryer has been taking photographs which deal with the enigmatic and uncanny in a subtle and poetic way. Indeed, the artist does regard his photographs as poems, and that the layers of meaning which emerge through looking at the work is an important part of the subject matter. 'Datura' is a lovely example of Peryer's recent work: the soft tones and physical form of the plant generates a sensual yet almost inscrutable image of reverie. There is a distinct relationship to the work of German photographer Karl Blossfeldt (1865-1932) and not only because of the subject matter. 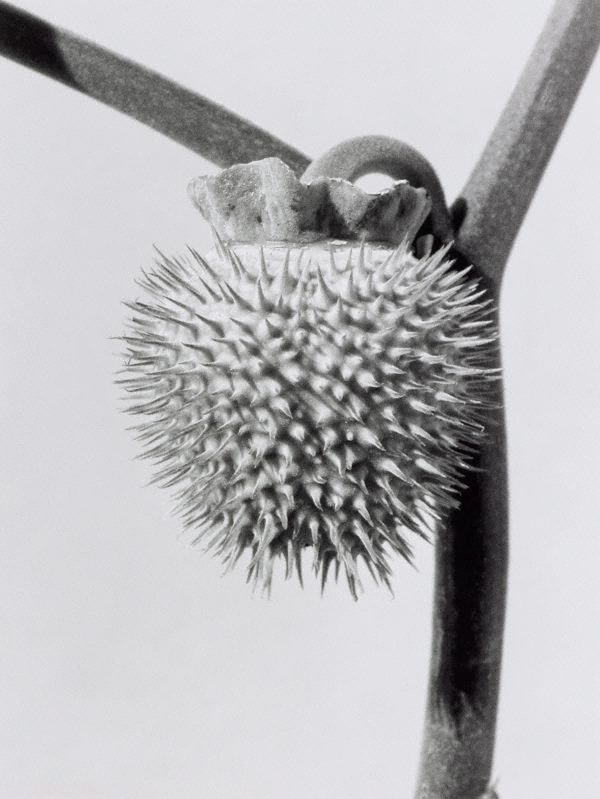 The evocative aspect of Blossfeldt's photographs where forms transcend their origins is also pertinent to Peryer's work. Signed and dated c. verso, black fibre-tipped pen ".../ Peter Peryer/ 2002/...".